I can honestly say I’ve never really watched The Mysterious Cities of Gold. When I was a kid, I was more a G.I. Joe, Transformers, Captain Power, Visionaries and the like fan. I’ve always thought the theme song was incredibly catchy though. I think I’ve seen maybe two or three episodes in my life. My wife however ADORED the show as a child and so when I saw that Ynnis Interactive was trying to do a Kickstarter for their video game based on the cartoon series, I thought I’d chip in so that she could get a chance to play it. After all, if the Kickstarter wasn’t successful, the game would only be available in French. Luckily though, the Kickstarter was amazingly successful. 1,158 of us backed the game, giving Ynnis Interactive 50% more funds than they were initially asking. This allowed the game to not only be brought to North America and fully dubbed into English, but also provided subtitles in Spanish, Italian, Polish, Swedish, German, Portuguese, Brazilian Portuguese and Arabic, making this the first Wii U game to be released with an Arabic localization. Now many of these languages are coming in a patch, along with some add-on content and a corrected credits list thanking the Kickstarter backers, but it’s pretty awesome to see all the people than can now enjoy this game in their native language, English speakers included, especially since The Mysterious Cities of Gold was a huge international hit thirty years ago when it first debuted. I have to admit, I was a little worried about the quality of the game. After all, it’s a licensed title based on a kid’s cartoon and those RARELY turn out well. Look at all those god awful licensed platformers put out ever year. As well, I tried out Ynnis Interactive’s tunnel run style game for the iPhone, Mysterious Cities of Gold – Flight of the Golden Condor and was appalled by how truly terrible it was. Oh man, it was one of the worst games I’ve played this year. Had I thrown away thirty dollars for two copies (3DS and Wii U) of a terrible video game? Only time would tell. The good news is that, no I didn’t throw my money away. Not only did The Mysterious Cities of Gold: Secret Paths come out ON TIME (That’s a Kickstarter first, especially for video games), but it’s really, REALLY good. It just might be my favorite puzzle and/or point and click adventure game of the year. I know next to nothing about the cartoon, but this game has made me want to watch the original series as well as the new episodes that started up in France several years ago. With only a fifteen dollar price tag, Mysterious Cities of Gold – Secret Paths just might be the best deal on the Wii U to date and it’s time I showed you why. The Mysterious Cities of Gold – Secret Paths takes place in China. We see the three protagonists, Esteban, Tao and Zia (along with an onslaught of enemies and allies) investigate this new land, solving puzzles and avoiding captors along the way. The puzzles are interlaced with extremely gorgeous high definition cut scenes. As I’m not familiar with the cartoon I’m not sure if these animated segments were made specifically for the game or not, but they seem cut and pasted together from the cartoon (not sure which version though) to give a Cliff Notes’ version of the story arc. I think fans of the cartoon will get a lot more out of the story side of the game than I did, but I really loved the characters I discovered in this game and will probably buy the DVD boxed set of the original series to view (and for my wife to engage in some childhood nostalgia). Basically the characters are trying to find a city of gold in China, while being pursued by some Asian pirates and helped by monks, chubby French guys and other kind hearted people. It’s a pretty cute story all in all and the game did its job of making me want to learn more. I can only assume fans of the show will be thrilled with what’s here if I, a relative ignoramus about all things MCoG has as much fun with this as I did. I know I’ve already touched on this, but man the game is gorgeous. The game boasts some of the best visuals I’ve seen on the Wii U so far. The animated cut scenes are as good as any blu-ray anime series I’ve picked up and are actually better looking than anime scenes I’ve viewed in PS3 or Xbox 360 game. All this from a smaller sized French developer and published. VERY impressive. As well, the in game graphics are great too. It’s a puzzle game and the budget was far from AAA levels, but everything is fluidly animated, highly detailed and a joy to look at on your screen. There is even a view mode where you can scan the level to see what awaits you, but I sometimes just used it to take in the neat level design. Of course, there’s a time goal, so you don’t want to be caught gazing too much. I’m just really happy with the overall visual presentation and the graphics are just another reason Wii U owners should strongly consider adding this to their collection. The audio of the game is top notch as well. The classic theme song is here in its entirety and the game is fully voice acted. I’m not sure if they are the original actors from the cartoon, but they sure sound like name actors I’ve heard before. It’s of a high enough quality that it adds credence to my theory that the cut scenes are taken directly from the cartoon as well. Besides the theme song, the game has several different musical tracks, all of which are very catchy and stick in your head long after you finish playing the game. I loved every bit of the soundtrack and it makes me a bit sad the music wasn’t offered in any pledge tier over at Kickstarter. Finally, the sound effects are really well done too. Whether it’s the sound of footsteps, happy music to designate you found the hidden illustration in each level or the cawing of your parrot sidekick, the aural aspects of Secret Paths are phenomenal. Between the visual and audio quality, the game can be as much fun to watch as it is to play first hand. Playing The Mysterious Cities of Gold – Secret Paths is akin to similar games like Maniac Mansion, The Cave, The Lost Vikings and Trine. In this game you’ll take control of Esteban, Tao and Zia and try to get them through thirty different puzzle levels (the last ten will be made available as free DLC). Each character has their own special ability to help get you through levels. Esteban can use his sun medallion to activate solar powered artifacts, Zia can sneak through tight spots and Tao can read ancient glyphs and pickpocket items with his parrot. You’ll use each of these abilities regularly and the key is to make sure you have the right character in the right spot when you need them. You control only one character at a time and you’ll use the ZR and ZL buttons to switch between the three. Besides using their special abilities you’ll have pressure panels based puzzles, puzzles involving statues, puzzling involving lining up walkways so you can cross, stealth based segments where you avoid the line of sight of pirates who would otherwise capture you and more. The levels are pretty expansive and they’re a LOT of fun. Besides trying to get through each level, there are four options subgoals which involve not being spotted by enemies, trying to collect all the scrolls in a level (some can only be found/picked up by specific characters), trying to get through the level in a specific time frame and finding the hidden treasure chest that nets you a gallery illustration. You can replay each level as much as you would like in an attempt to set a new hire score or to complete all sub-objectives and 100% the game. So there are definite reasons to replay the game, but none as much as the promise of regular free DLC per the Kickstarter campaign. Controlling your characters can be done either with the stylus ala point and click adventure game style or with the Analog stick or D-Pad. Personally I prefer the D-Pad as it’s easier to control your characters in the stealth sections with this format. Either way the controls are tight and easy enough for a gamer of any experience level to quickly learn. It can be challenging to 100% the entire game though. Sometimes you’ll miss a time goal by second or you get spotted at the very end of a level where you aren’t allowed to be seen even once and you just don’t feel like replaying things from the beginning. It’s still a lot of fun though and I’m impressed with how inviting the game is to gamers of all ages, skill levels and knowledge of the source material. Originality might be the weakest aspect of the game, but only because it’s easy to think of several games that use this play style for a puzzle adventure. Still, there aren’t many of them and this is the only game I can think of that actually uses The Mysterious Cities of Gold as source material (the iOS tunnel run-esque game does NOT count.). I should also mention that the last ten levels of the game aren’t in the initial download but are be provided with that update/patch DLC that includes the extra languages and Kickstarter backer guide. According to Ynnis, this was Nintendo’s fault rather than theirs as Nintendo’s submissions guidelines forced them to either do the excised content as a patch or to wait until January to make the game available to all. Considering everything is in the PC version, Ynnis does seem to be on the up and up here. As you can probably tell from this review, I had a hard time putting down The Mysterious Cities of Gold – Secret Paths. It was a really fun experience and it made me want to go out and watch the cartoon. I’m looking forward to the final ten levels and the eventual DLC as well. The Wii U Miiverse community is surprisingly active for a third party under the radar game, which shows that Secret Paths might be a cult hit. I know that along with Pokemon Rumble U, this is my favorite Wii U game of 2013. Secret Paths might only take a few hours to beat the currently available levels, but you’ll have a blast with the six or so hours it takes to get through the experience. Out of the eighty-three games I’ve backed on Kickstarter, Secret Paths is the only one to come out on time and is up there with Shadowrun Returns as proof that you can make a truly great video game experience via crowdfunding. I’m really impressed by this third party offering and with many other Wii U based Kickstarter games set to be released in 2014-15, games like The Mysterious Cities of Gold may be exactly what Nintendo needs to keep their current console viable. Great job all around and I can’t wait to see what else Ynnis Interactive has planned for us. The Mysterious Cities of Gold –Secret Paths is not only one of the rare Kickstarter products (regardless of type) to actually make its originally projected release date, but it’s very done, providing gamers everywhere an example of a crowdfunding product done right from beginning to end. The game is visually stunning and the music will stick in your head for days. It’s hard to believe a licensed game by a small indie studio in France would end up being the best puzzle game I’ve played all year as well as one of my five favorite releases for the Wii U, but there it is. With a price tag of only fifteen dollars, anyone that owns a Wii U should do themselves a favor and download this ASAP. 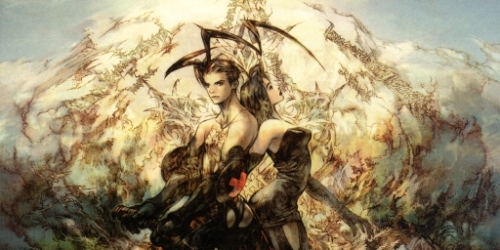 Vagrant Story – Sequel, Spin-Off, Start Over, or Stay Dead?